Where’s Wallis? 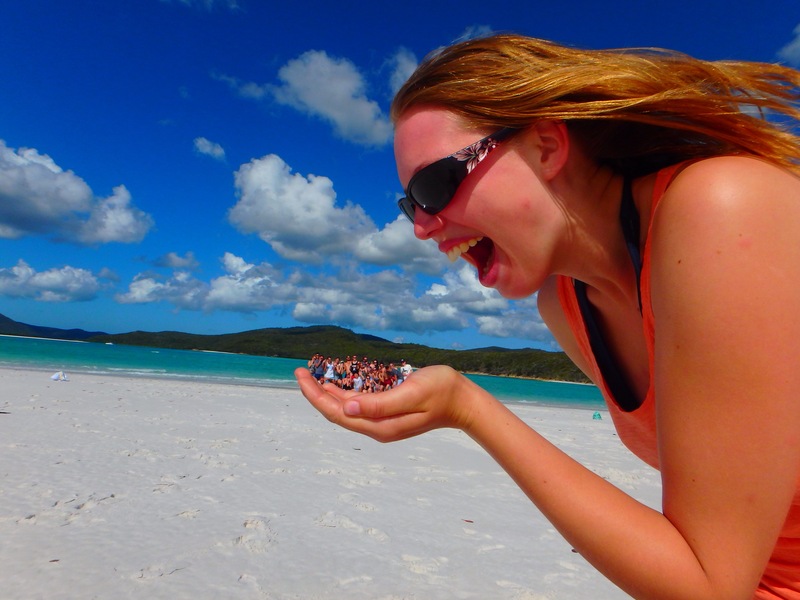 The Whitsundays, Australia – Where's Wallis? 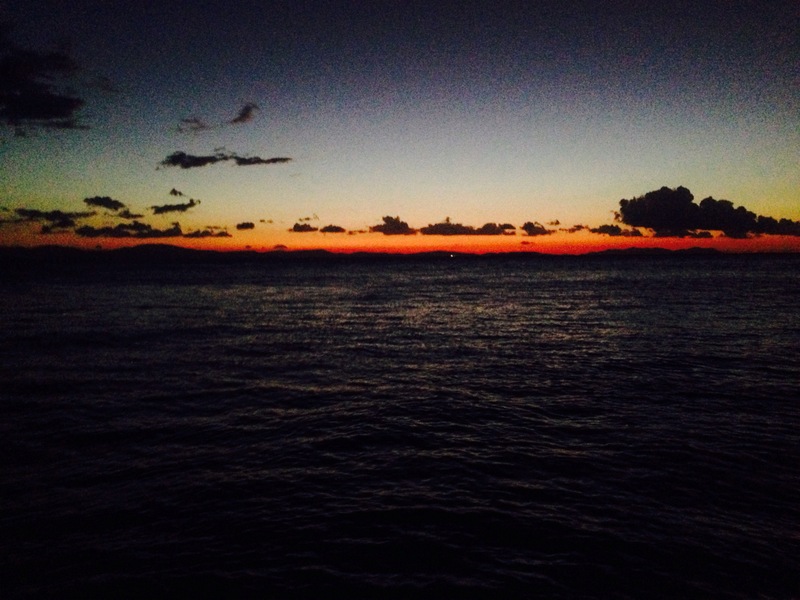 First I felt sea-sick. 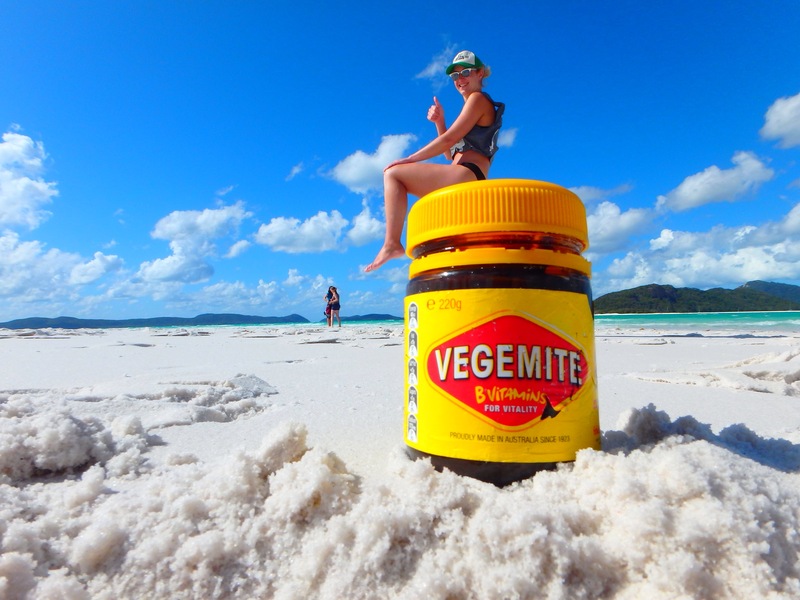 Somehow I don’t think that the 1m waves of the sheltered Whitsundays can contend with the waves she encountered crossing the Atlantic! Then, after we got back, I got land-sick! 😂 In fact I’m still feeling the sway as I write this a day after docking back in Airlie Beach. 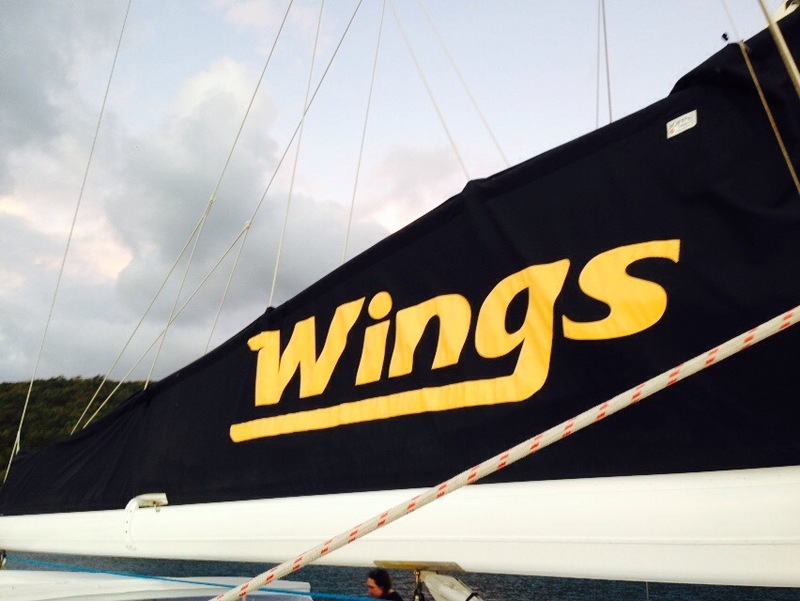 Despite the persistent feeling of swaying, I still managed to have a fantastic time on the 3 day, 2 night cruise on ‘Wings 2’ boat with Whitsundays Sailing Adventures. 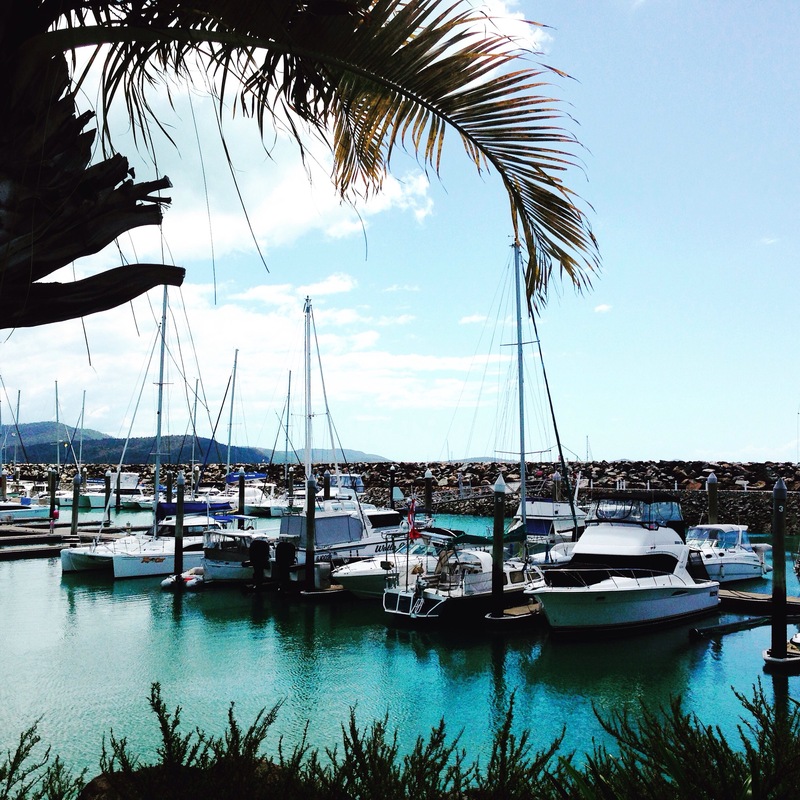 The town of Airlie Beach is c 600km south of Cairns and is the main hub for boat trips to the Whitsundays. The town itself was okay, but I didn’t love it. I much preferred Noosa and also Port Douglas. It definitely felt like a transit point, with the town centre being remarkably quiet considering the number of hostels and hotels – this being because half the people are always out at sea! 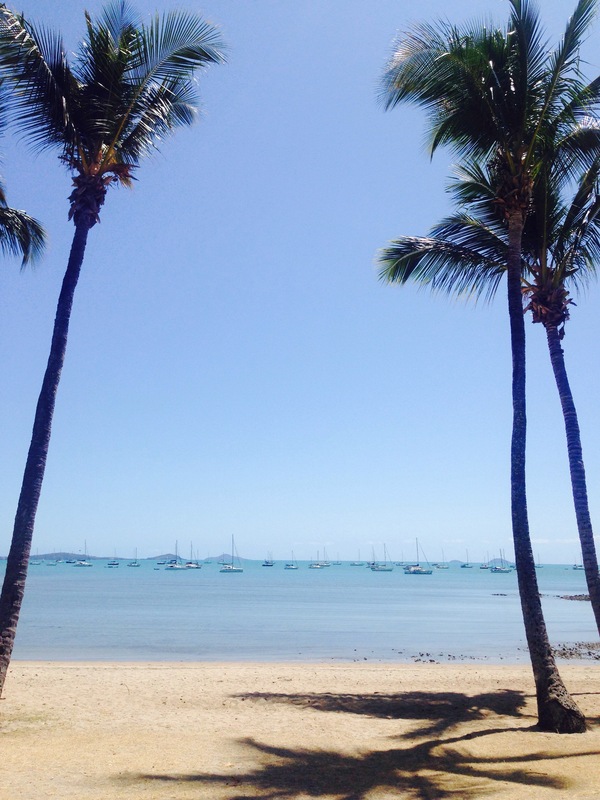 Airlie Beach has a man made lagoon where you can swim, a main beach which no-one was on, and a smaller but more sandy beach just to the East of town. 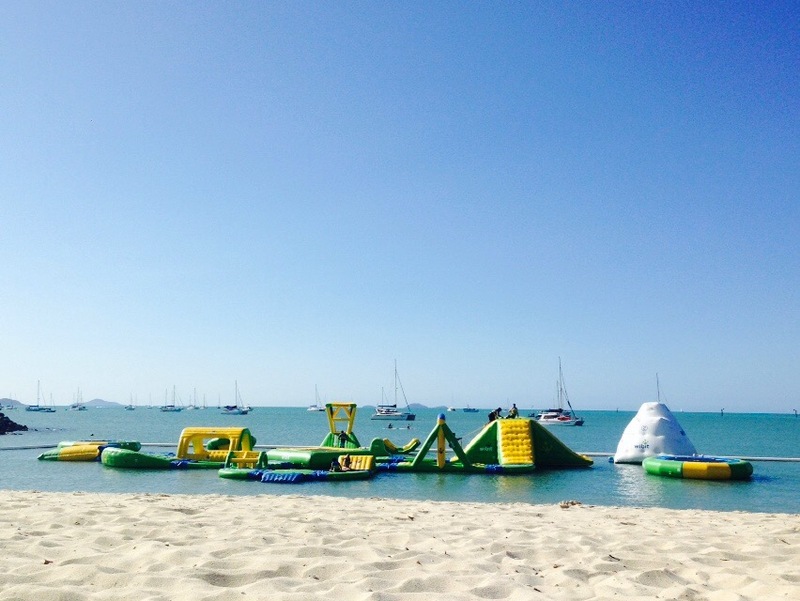 The better beach…don’t pretend you wouldn’t play on that! It was slightly hidden past the sailing club and I almost didn’t find it until I saw another girl looking similarly lost and went to ask her if she had any idea where we were heading. Natasha was from São Paulo, Brazil, but living in Gold Coast and we ended up spending a lovely day chilling on the beach together before having a sunset drink in town. 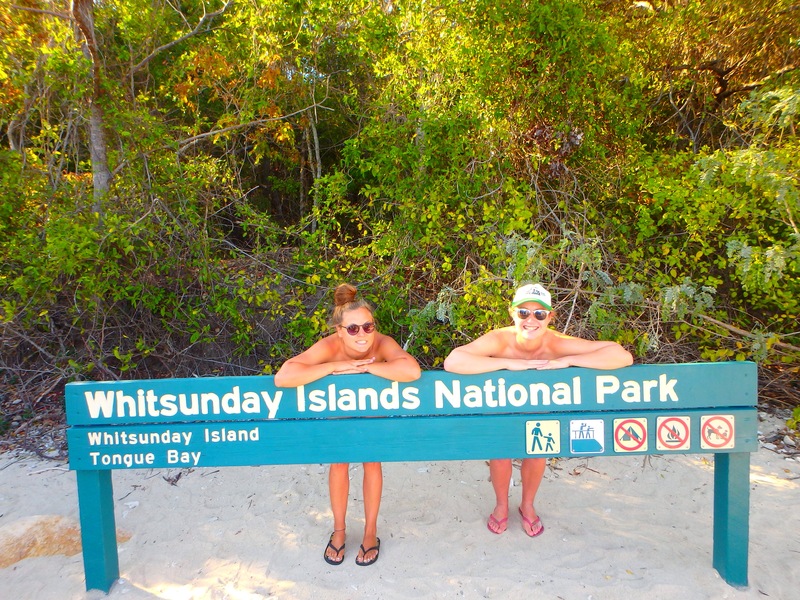 This was on Tuesday, a free day after my long bus trip down from Cairns and before my cruise set off on the Wednesday. 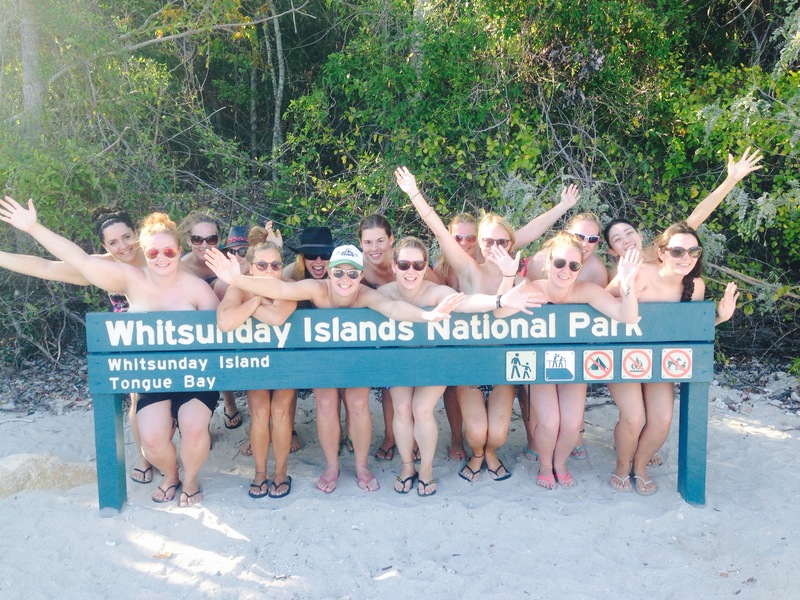 Now, whilst there is a single large island called ‘Whitsunday Island’, the collective group is commonly referred to as ‘The Whitsundays’. 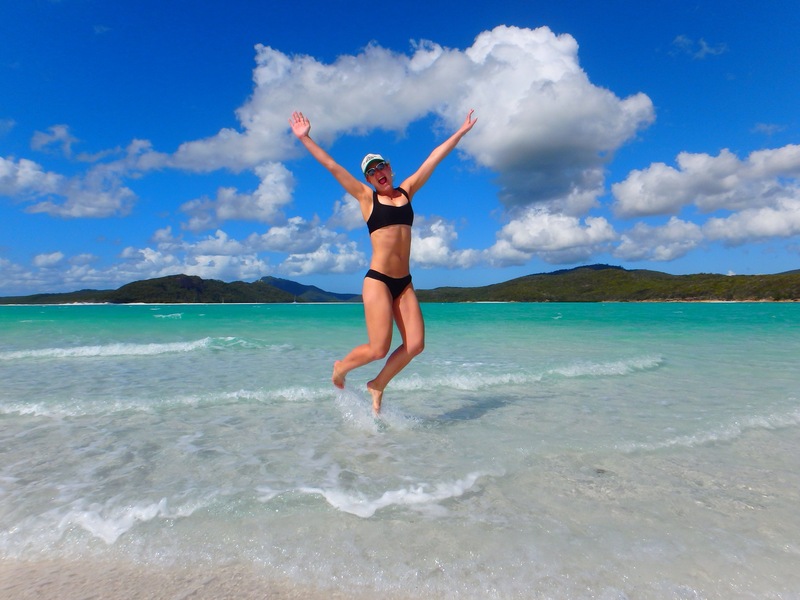 There are tonnes of different options for cruises around the Whitsundays. You can go on smaller boats (Wings 2 had 25 of us on board), ‘party boats’, sailing boats, motor boats. 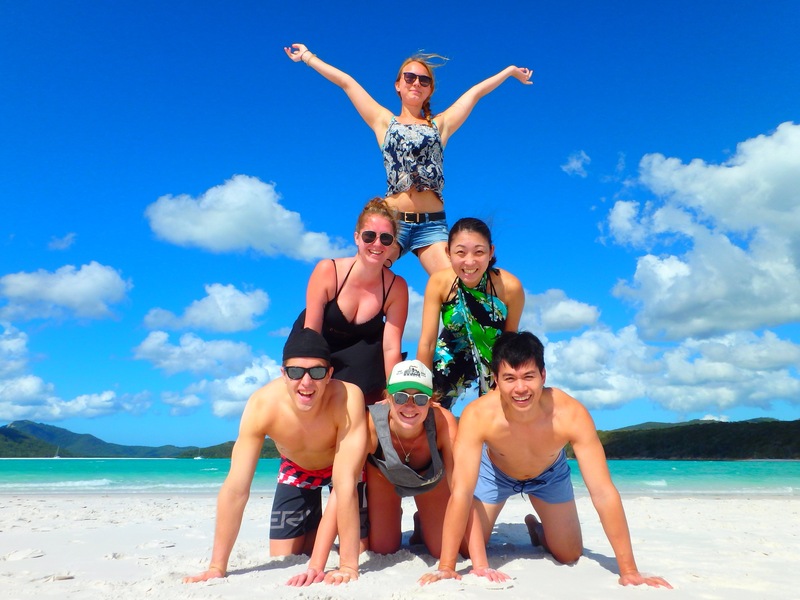 I chose Whitsunday Sailing Adventures because Kristin and Lauren had gone a couple of weeks previously, just before we met up with Lauren in Queenstown for skiing. They’d absolutely loved it. 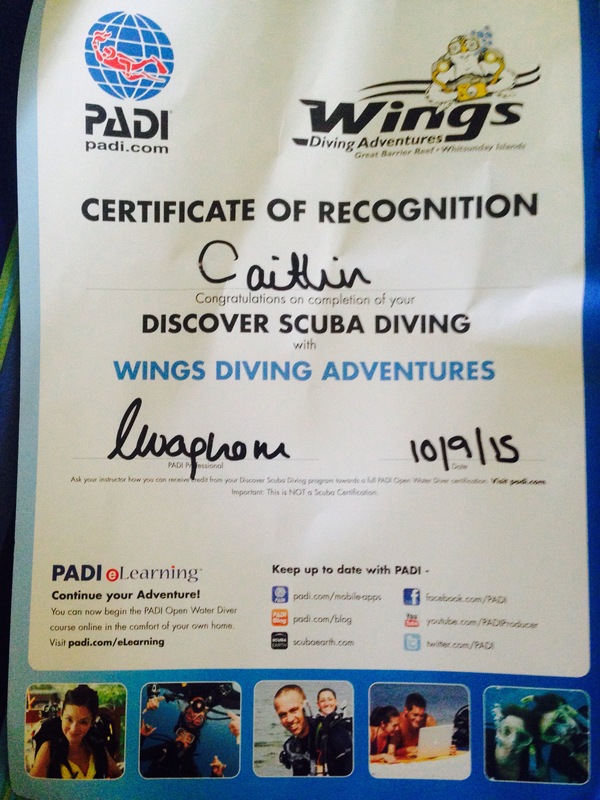 Wings also offered scuba diving on board. 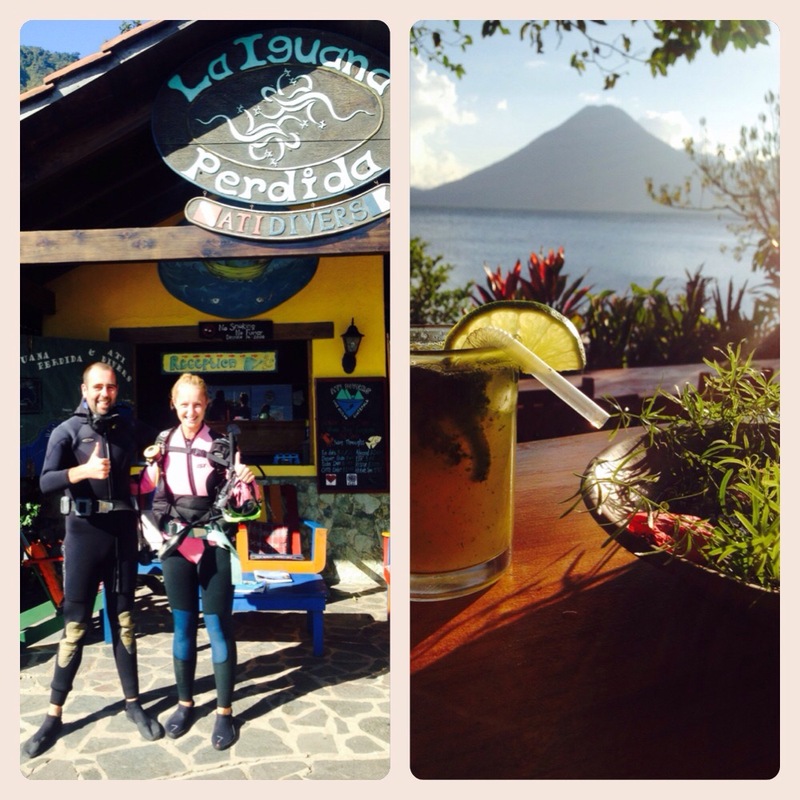 I’ve only tried diving once before, on my birthday last year when I was staying at the gorgeous La Iguana Perdida on Lake Atitlan in Guatemala. I was travelling alone at that point and wanted to do something new and exciting to celebrate, however the lake was rather cold, and very murky, and not really the ideal location for an intro to diving! 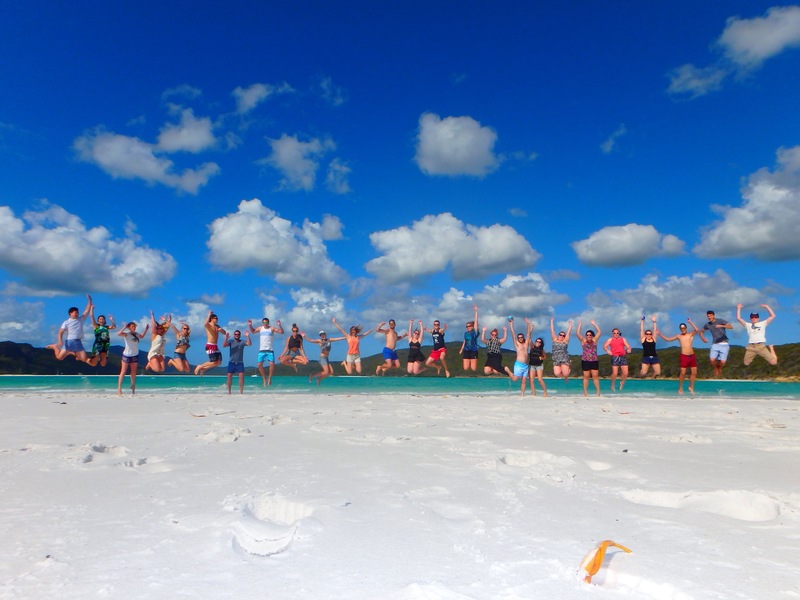 Practicing breathing…it’s tricky you know! 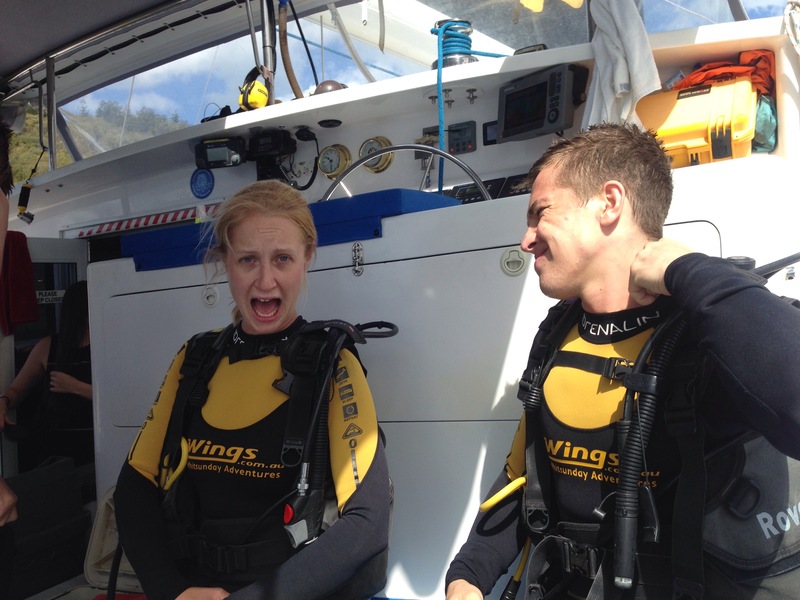 To be totally honest, that first time diving I panicked quite a bit. It made me feel claustrophobic and the thought of not being able to go straight up to the surface if I needed scared me, as did not being able to get verbal reassurance from the instructor and just relying on 👌 symbols! I know it’s completely irrational. I started being scared of flying a few years ago and as well as the way my body tenses whenever there’s turbulence, I often got a trapped claustrophobic panic when I’m walking down the tunnel to the plane, often ending up feeling physically sick! Over the last year or so I’ve managed to overcome this and I’m writing this from the plane back to Sydney which I boarded with no anxiety at all. I’ve done this in part by flying a lot, and in part by telling myself it’s all in my head and that the feeling will pass. Firstly, I got weirdly claustrophobic in the evenings, I know this sounds stupid but we were in a small coastal town, and for some reason the thought that I couldn’t ‘get out’ of there if needed really freaked me out. I remember not being able to eat my dinners properly because I felt so anxious! 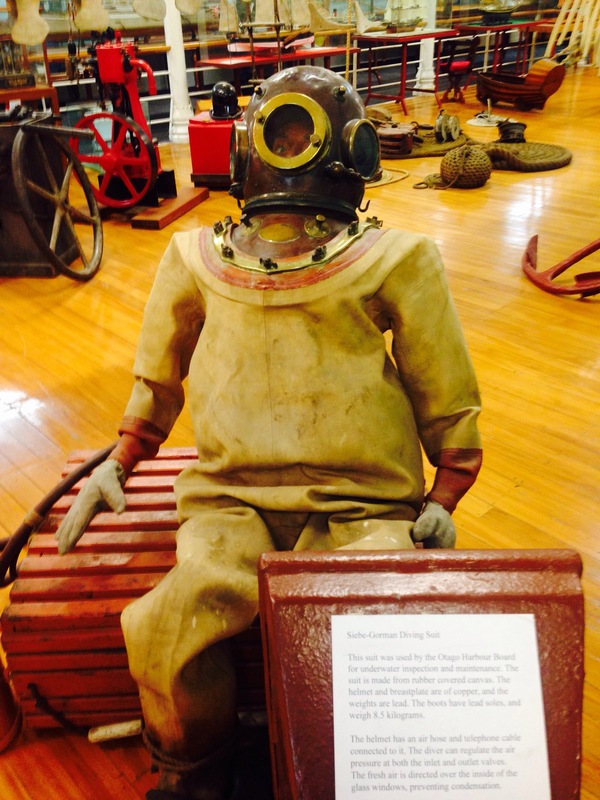 So, to put it bluntly I was crapping my pants about trying diving again. It was in the back on my mind the whole of the first day on the boat. Why do it at all? You might wonder, if it makes me feel so nervous. 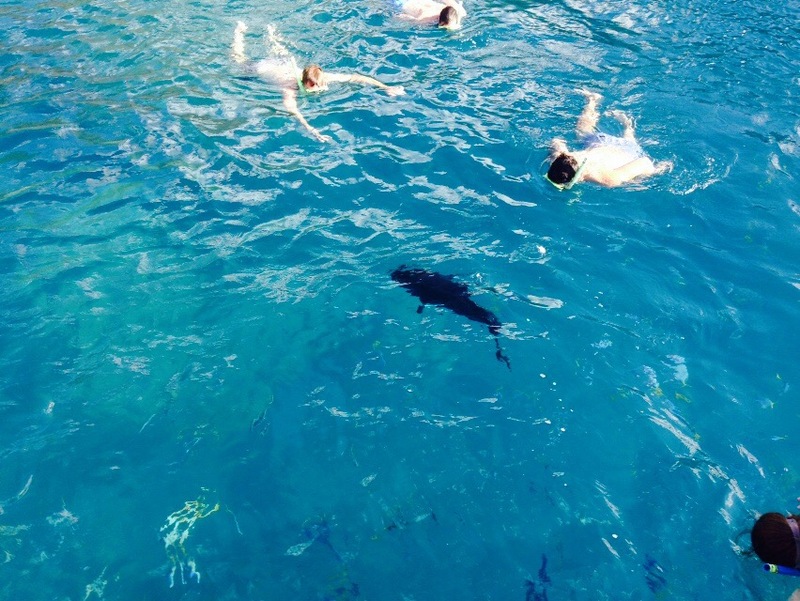 There were plenty of people on the boat who just said “oh no, I hate the idea of diving, don’t want to try it“. Well that’s part of the reason, I’m pretty stubborn, and it frustrates me that my brain can deter me from doing something that I am perfectly physically capable of, and that so many people love! So rather than missing out I wanted to overcome it. I don’t blame you if you skimmed through that in-depth psycho-analysis of myself, but to conclude…I REALLY ENJOYED DIVING!!! I’m really so glad I did it. I went out for an intro dive with a Norwegian guy called Morten. Our instructor was Becca who was also the host for the boat. She was a little ball of energy and made me feel as at ease as was possible about it. I definitely had a couple of moments of panic when I looked up to see meters of water above me, but I just calmed my mind, breathed slowly and looked at the cool fish and corals around us. 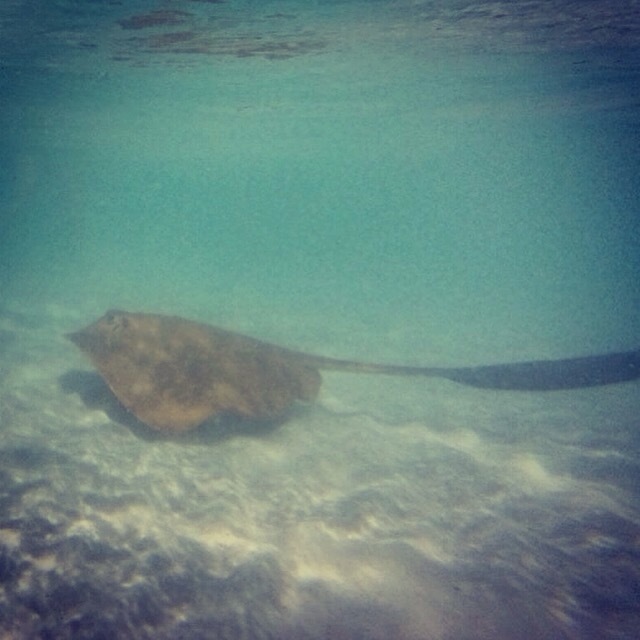 Whenever I’m snorkeling I always try and dive down to take a closer look at things, so it was great to just be able to swim along merrily breathing underwater. 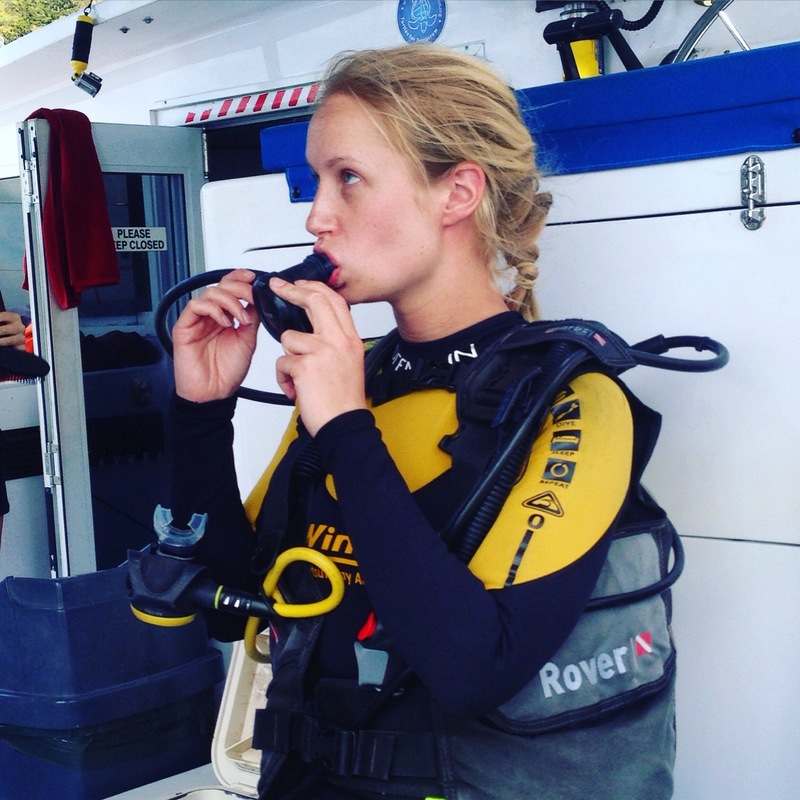 Now after that great experience I’d like to do it again and am even considering doing my PADI certification. I’d encourage anyone who feels the same to give it a go. It really is great. You just need to realise that the fear is all in your head. I’d pick a warm and beautiful spot to try it too, that can’t hurt! 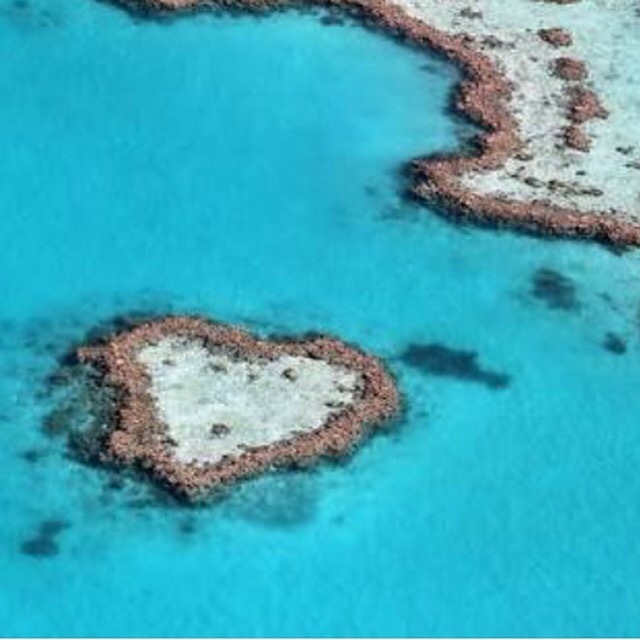 From conversations with other people on Wings who were travelling the East Coast it sounds like Cairns or Port Douglas is the best place to dive, especially the outer-reef, so I missed a trick there! We had a really lovely group on the boat, of the 25 of us there were 4 Canadians, 1 Irish, 4 English, 1 American, 1 Japanese, 13 Germans and 1 Norwegian. No Aussies at all suprisingly! Haha I thought I’d end up learning German by the end of the trip! 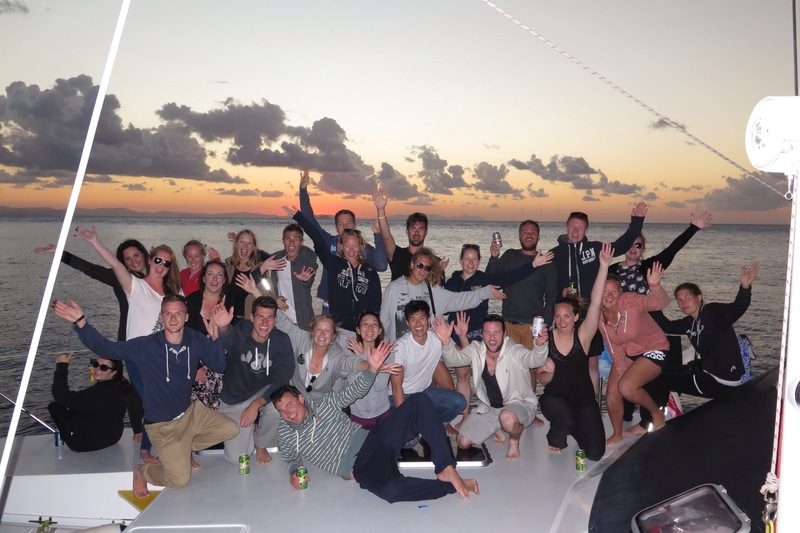 Then we had 3 crew looking after us: Becca, from the UK who was hosting and diving, Kirsty from NZ who cooked delicious food for us all, and Stevie from Aus who was our skipper and kept us safe! 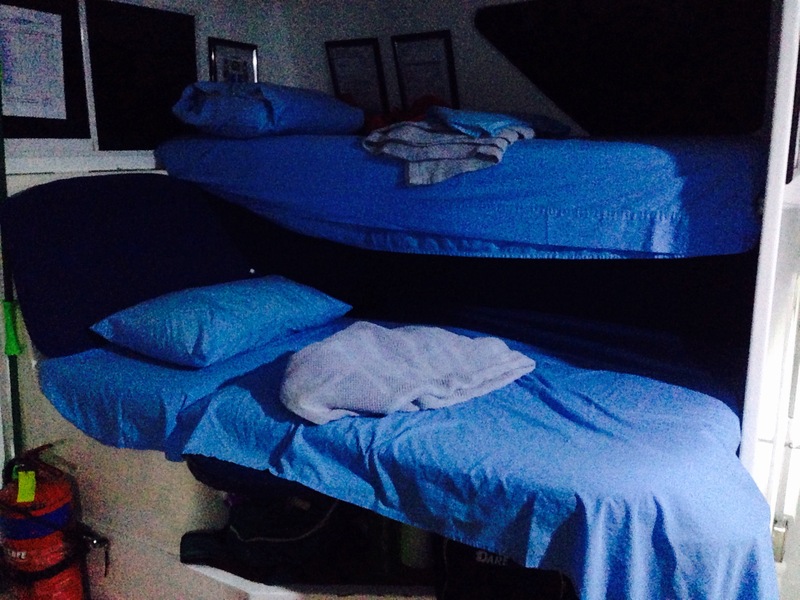 Now the boat wasn’t THAT big, meaning that to supplement the 3 bedrooms, 6 of us also had to sleep in the kitchen/living area! When Kirsty first called out everyone’s names to show them to their rooms I wasn’t included in any of the groups. Slightly disconcerting and it would have been a bit late to find out that I was on the wrong boat when we were an hour out to sea! It turned out she just forgot to call me and I was in the final group…the kitchen sleeping group. I was also worried that if I was a snoozy Susie and wanted to go to bed early then that wouldn’t be possible. But it actually worked really well, we all seemed very in sync, and after our big dinner, a few drinks and watching a slide show of the day’s pics each evening we were all pretty ready for bed! On Thursday we woke early, as soon as it was light. Whilst eating breakfast we saw a huge turtle coming up for its morning breath just a few meters away from the back of the boat! Once we’d eaten we all got into the dinghy and went across to land on the island. 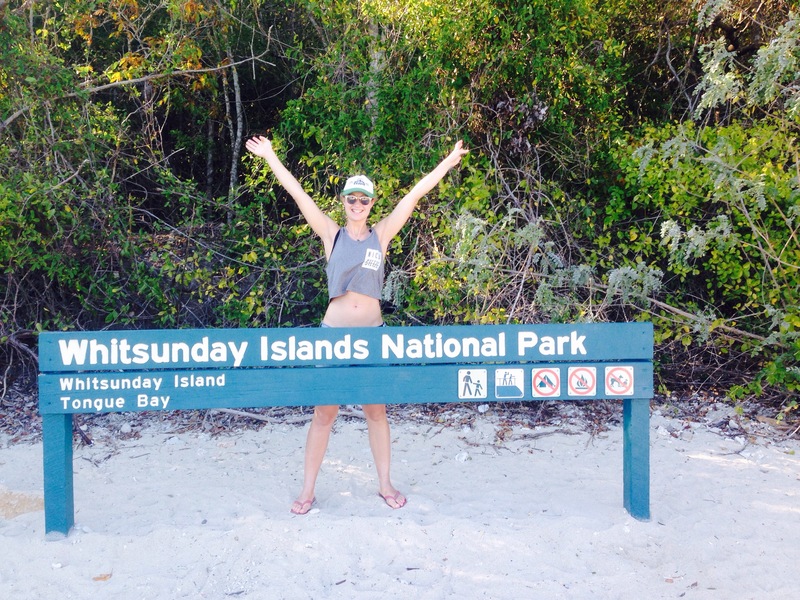 Once we’d torn ourselves away from the sign, we made the short walk up to the lookout which has spectacular views down over Whitehaven beach and the amazing bright blue water and white sand below. Team jump shot. Tricky to coordinate. Some people are not that well practiced at the essential jump shots. Once we got back to the boat we set sail again and had lunch on the move. I didn’t eat that much because of the diving dread, and when we anchored at the next stop it was time to dive!! 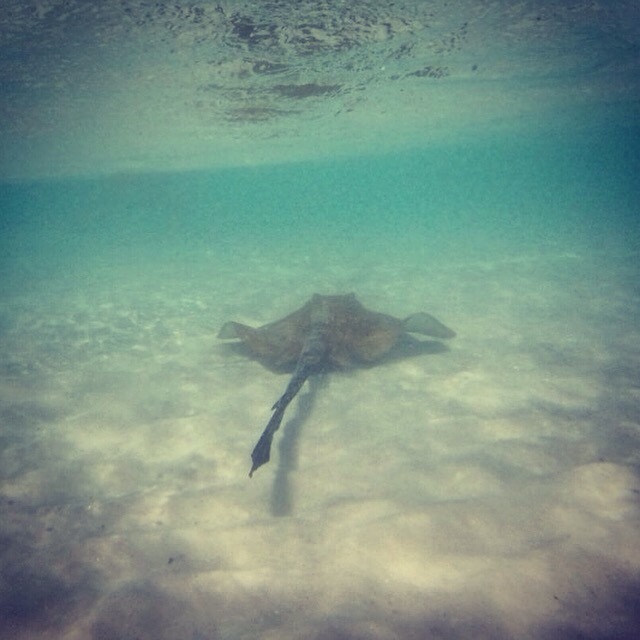 Once I’d dried off I didn’t fancy getting back in the water at our last snorkel spot. This seemed to be the general consensus after the cold late-afternoon swim the day before, so everyone cracked open a few drinks and sat on deck as the sun went down! The stars were absolutely beautiful from out there with absolutely no light pollution! I went to the bathroom to find water on the floor. “That’s it…” I thought “We’re sinking”. I decided not to raise the alert just yet – you don’t want to be the person that wakes everyone up for a false alarm 😂 so I decided I’d give it 15 mins or so and then pop back to the bathroom to check on the flooding situation. In the meantime practically everyone seemed to wake up because the swaying was so rough and the water was slapping the boat loudly. No-one else seemed to think we were sinking though so I kept quiet. At one point I went out to the back of the boat and weirdly there were hardly any waves, the current was obviously just hitting the boat side on causing us to sway too much. Morten was out there and said he could see dolphins just off the back. I didn’t have my glasses but I couldn’t see any dolphins. I could make out the shape of the Giant Travely fish (the super fast swimmer from my last post!) who had been in the water earlier that day when people were snorkeling off the back. Stevie fed the fish a bit, and it was quite funny to watch the snorkellers panic when he threw food near them and they were instantly surrounded! 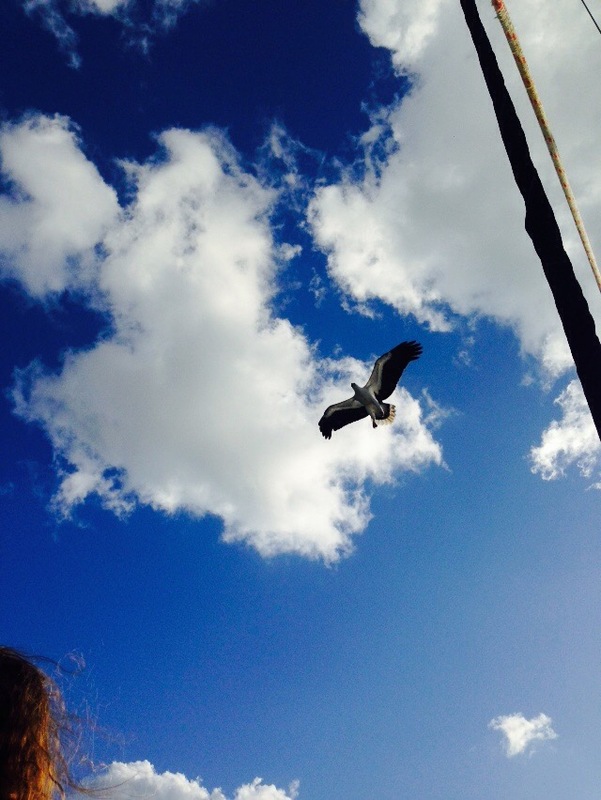 That afternoon he’d also fed an eagle that was soaring overhead! It would swoop down and (sometimes) catch the food mid-flight. 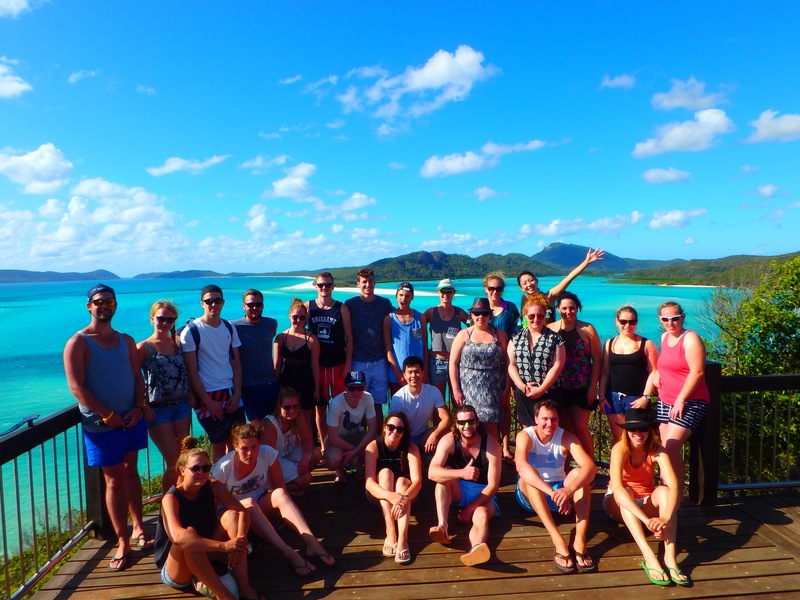 Friday we had a final snorkel and then sailed back towards Airlie beach. This final crossing was pretty rough and there were a few pale faces by the end of it. 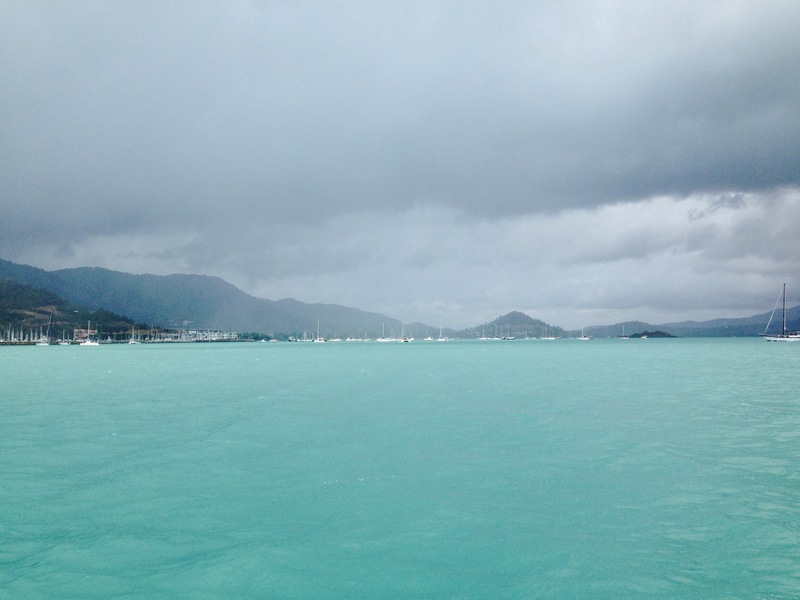 We were greeted by miserable weather when we docked at Airlie. I’d been told that it hasn’t rained for 6 weeks there, so it had obviously been saving it up for our return! Luckily I made the walk back to the YHA hostel before the heavens fully opened and the rain gave me an excellent excuse to have a little nap and catch up on the previous night’s missed sleep during sinking/dolphin-gate. 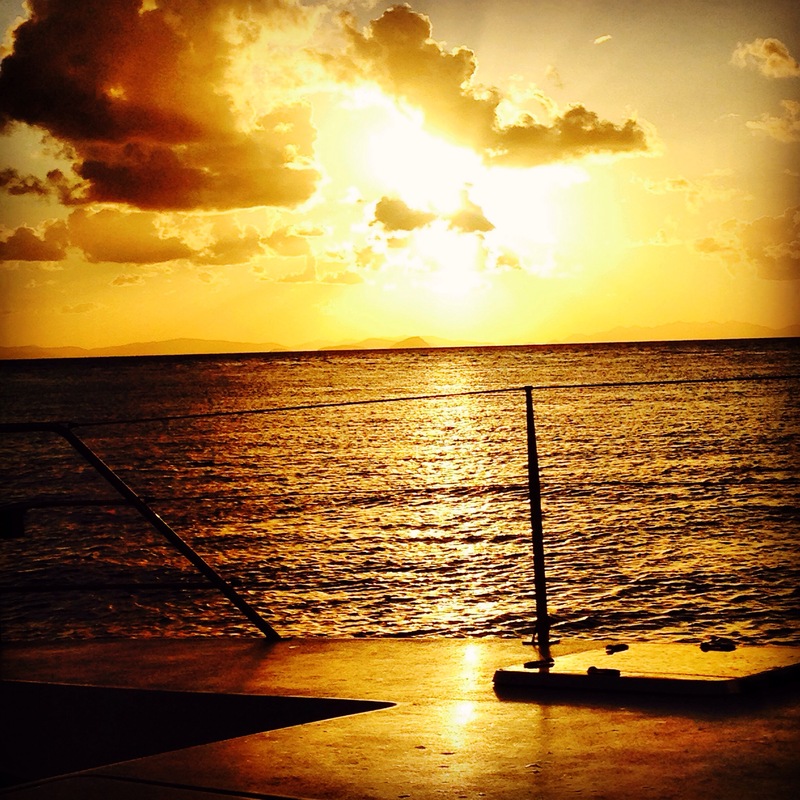 I was SO land-sick though. Urgh. I couldn’t stop feeling like I way swaying. 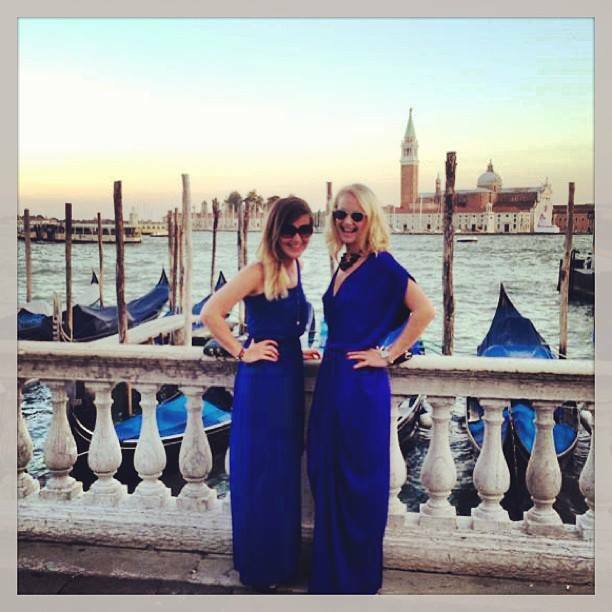 It took me right back to my trips to Venice with my wonderful friend Beth in 2013 & 2014. Venezia. Dressing up as gondolas. We probably had the best bargain accommodation in Venice, an apartment 5 mins from St Marc’s square for about 50EUR a night. San Marco dreams…. We were attending the film festival which was over on the lido so we were on the boat a lot. We were also partying, a lot. This combination lead to the feared ‘Sway’…one day getting so bad that I simply lay down by the side of a canal to ‘have a moment’. Beth was very understanding – and frustratingly immune to sway! Last night there was a bar crawl organised with the crew and passengers starting at 4pm. 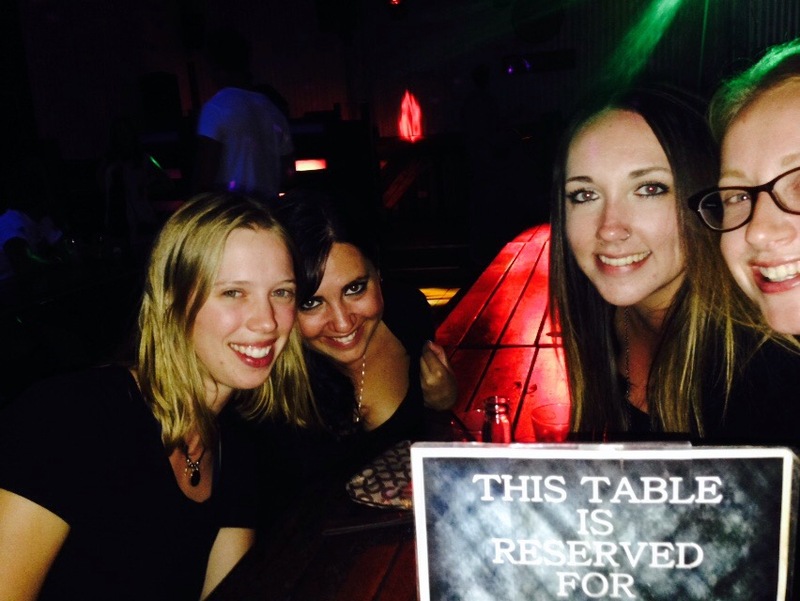 My plan was to go out early and join everyone for a drink before going somewhere for dinner. This backfired when I went to the wrong bar first of all, found no-one there and defeated went back to the beach to read and watch the sunset. 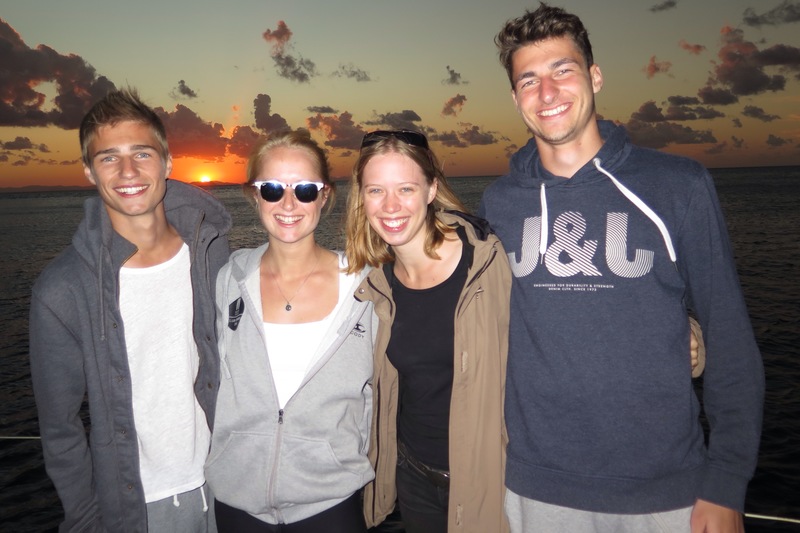 I had been messaging Tonye, a German girl from the boat who was planning to go out later on and she invited me up to her hostel – Backpackers by the Bay, for drinks. I actually wish that I’d stayed there instead of the YHA… the YHA was clean and had such lovely staff but seemed a bit tired and quiet. The Backpackers was about 5 minutes further walk out of town but had a lovely terrace where everyone was sitting having drinks and $1.50 hotdogs!! Tonye and I eventually made it out, to the correct bar this time and had drinks with Darcy and Holly, two of the Canadians. They were heading out to a club but cool cat Caitlin snuck off to bed which meant I was up early this morning to explore the Airlie Saturday market before heading to the airport. Really, these are amazing photos. 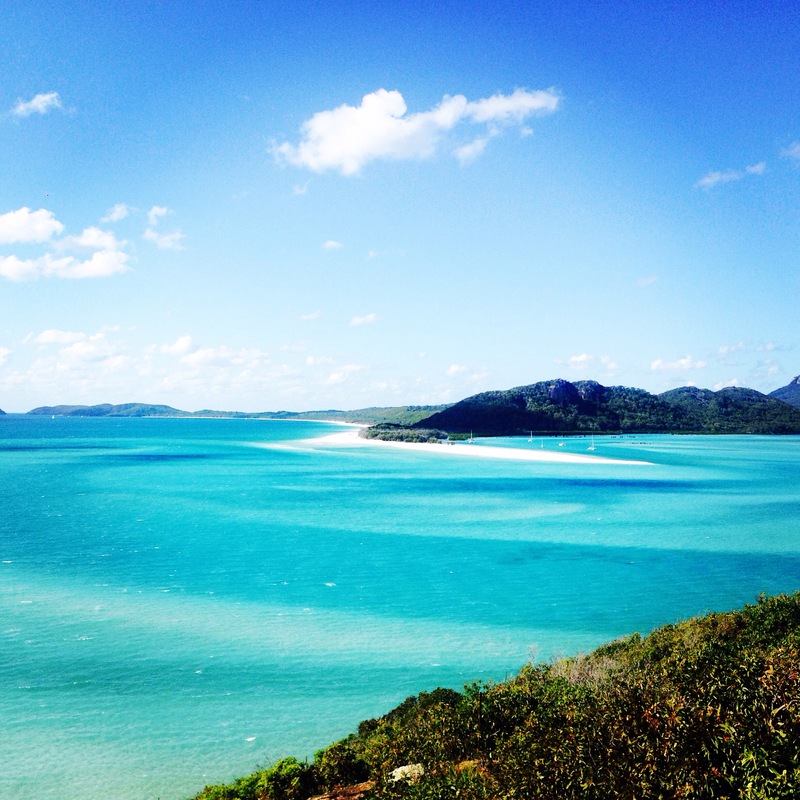 Whitsundays is an amazing place to visit and if we do sailing in Whitsundays then it is so amazing. 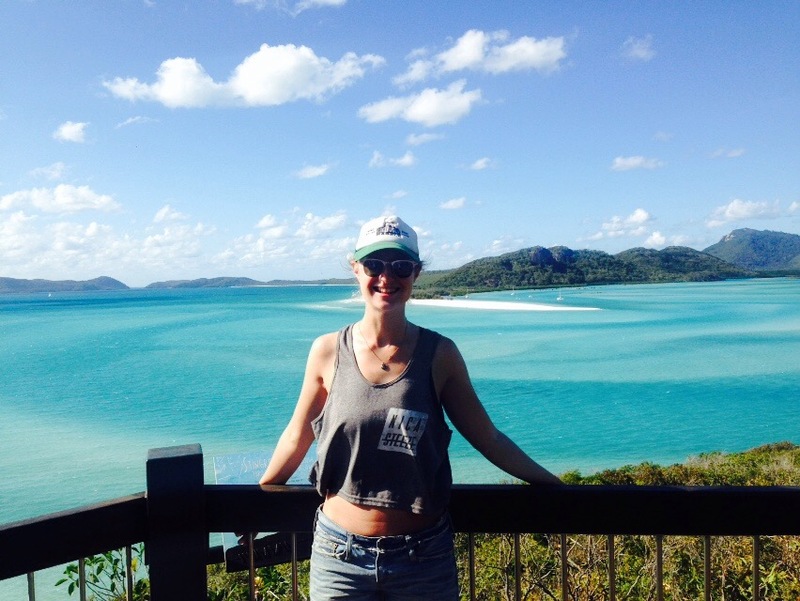 It is difficult to explain the feeling of sailing Whitsundays. Thanks so much Myra, I loved it and would like to return! Do you work on the boats?